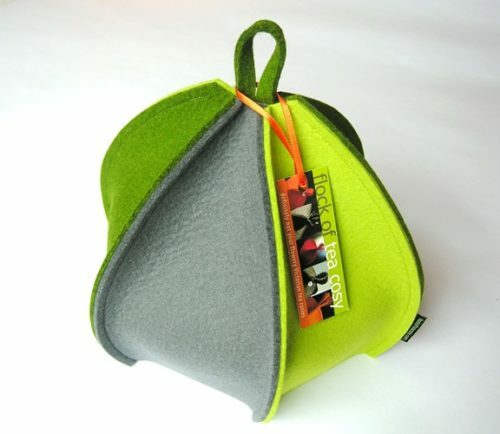 This colourful modern tea cosy has six sides — each carefully sewn with thread to match the panel — and is made with thick, European, all-wool felt in alternating panels of Moss Green, Cashmere Grey and Chartreuse green. 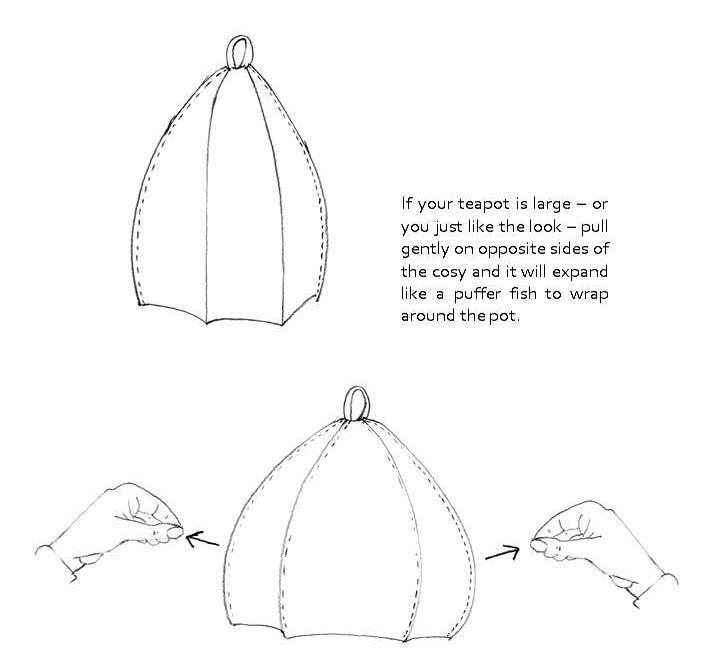 It is topped off by a simple hang-tab for easy doffing and donning of the cosy on your teapot. 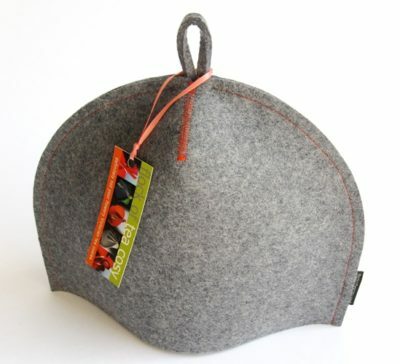 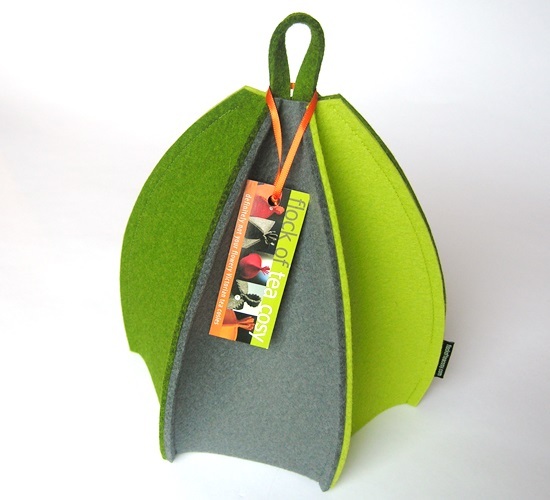 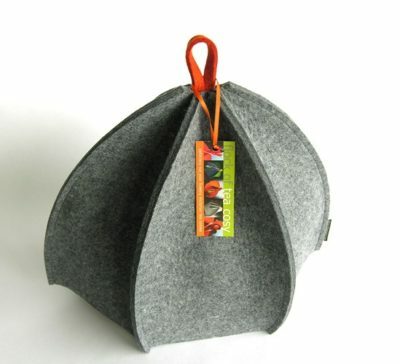 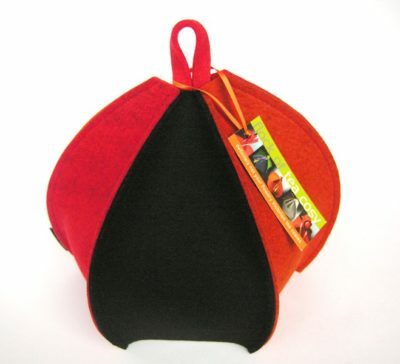 This beautiful thick felt has a wonderful hand-feel – so important in a tea cosy don’t you think?